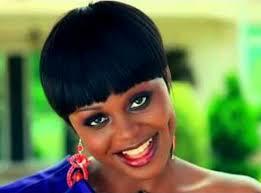 Diva Rema Namakula’s much anticipated Banyabo concert is finally here. Today,the Kampala Serena Hotel will be lit as the mother of fellow singer Eddy Kenzo’s children praises the women of the nation. The concert comes a day after the world celebrated International Women’s Day. This will also be her first concert since her former boss and mentor Bebe Cool commented that he didn’t train Rema, who started her musical journey with Gagaamel music crew, to sing at weddings and introduction ceremonies. Rema has received support from Rudeboy, one of the former members of Nigerian group, P.Square and 2Baba who she met while in the Coke Studio. Various local artistes have also thrown their weight behind the celebrated dimple-faced music icon by posting on their social media platforms. Her husband Eddy Kenzo also said his table is already booked. Tickets go for Shs100,000 and Shs3m for a table.